Now you can help the FWC document where gopher tortoises live with the new Florida Gopher Tortoise smartphone app. 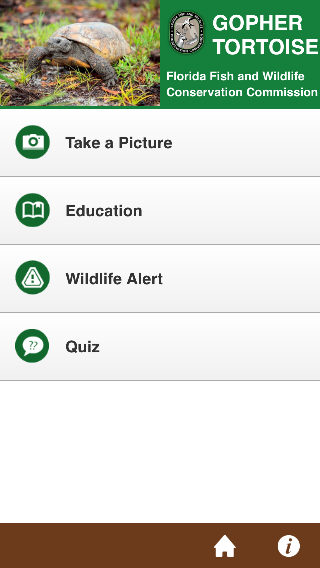 With this app, you can record the location of gopher tortoises you may see in your yard, neighborhood, or crossing the road. The information you provide will help FWC biologists better understand where populations of gopher tortoises live. The app is free and available for both iPhone and Android. Learn more about the new Florida Gopher Tortoise app. Get your FREE subscription to Florida Wildlife Magazine. Visit the Subscriber Preferences Page and look for the Florida Wildlife Magazine box under the FWC heading.